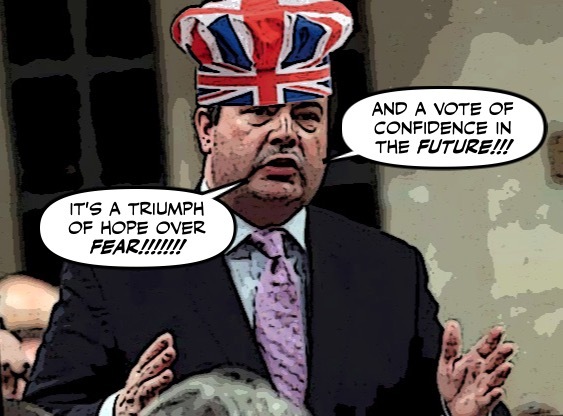 Ever since Jason Kenney tweeted out his enthusiastic support for the Brexit referendum result, he has been widely ridiculed. Especially since the Brexiteer's bubble burst. 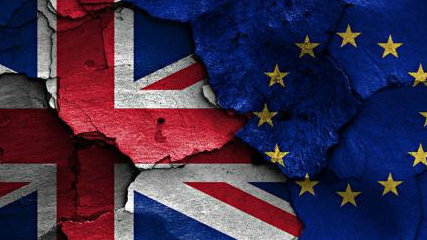 European leaders have insisted they will set the terms of the EU’s split from Britain, rejecting suggestions by British Prime Minister David Cameron that informal discussions can take place. 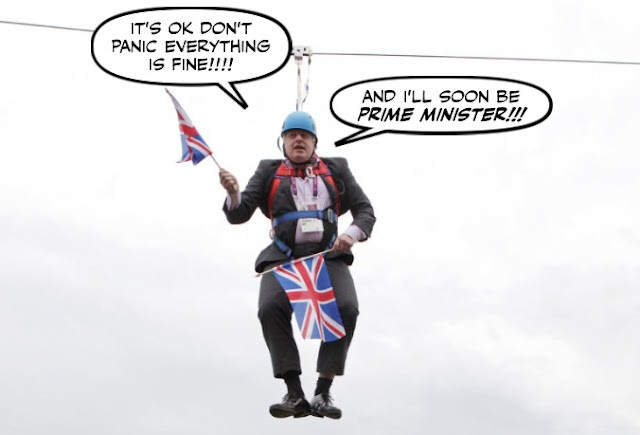 The future is looking grim, and it's getting hard to tell who is more confused Boris Johnson or Nigel Farage. 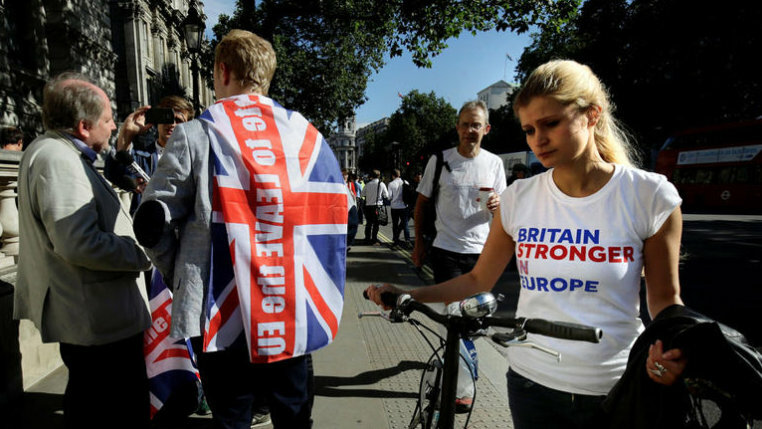 Will the Brexit Referendum Lead to a Generational War? I thought it was a reckless move, that amounted to throwing out the baby, and the future, with the bath water. I hate the way it has triggered an explosion of racism. And I also hate the way it has driven a wedge between the young and the old in Britain. 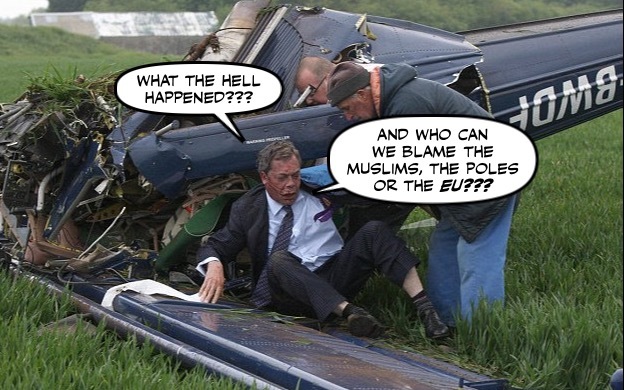 Six years ago, while campaigning for his racist UKIP party, Nigel Farage narrowly escaped death when his small plane crashed in a field. But although Farage survived, Britain may not be so lucky. Because after UKIP's racist forces helped the LEAVE side win the Brexit referendum, it now looks a lot like that plane. While Farage can't stop gloating as he did yesterday at the European Parliament. 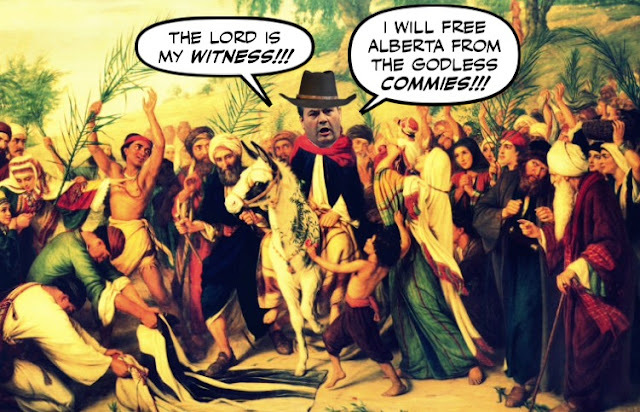 As we all know the hideous religious fanatic Jason Kenney has been hinting strongly that he is about to leave Ottawa, and ride west to unite the right in Alberta. No doubt believing that he will be given a hero's welcome, or be greeted like Jesus himself. Which sadly for him appears to be more and more delusional. 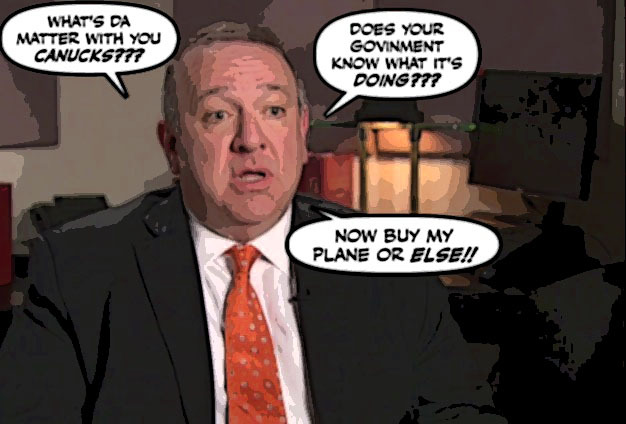 But just the prospect that Kenney could leave, has another monstrous religious fanatic threatening to run for the leadership of the Harper Party. 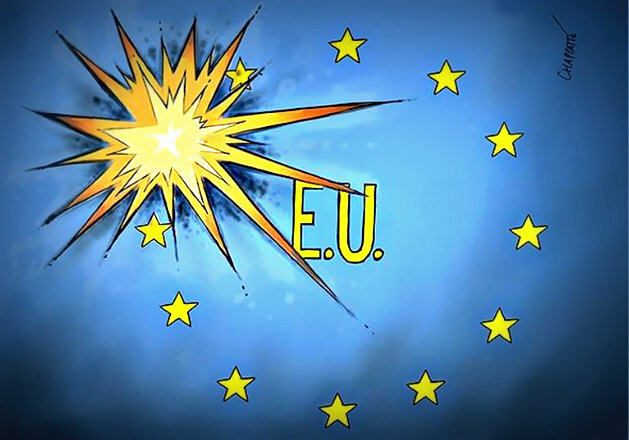 Well it's now five days since Boris Johnson and his merry band of Brexiteers won their referendum to haul Britain out of the EU. And now the situation couldn't be more disastrous. The pound is still sliding, the country has lost its triple-A credit rating. The stock market and the banks are reeling. And the UK is in danger of falling apart, with both Scotland and Northern Ireland threatening to separate. But don't tell the Con clown Boris Johnson that, because he wants people to believe that everything is under control. 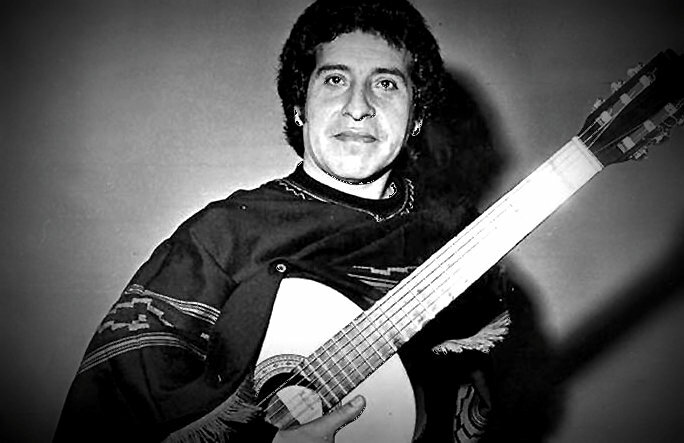 Victor Jara was a well known Chilean folk singer who sang songs about poverty and injustice. And for that when Augusto Pinochet and his fascists overthrew the government of Salvador Allende, he was one of their first victims. And was tortured and murdered in a soccer stadium where the military were holding thousands of prisoners. Can Scotland Really Stop Britain From Quitting the EU? As Britain tries to recover from the shock of the Brexit referendum result. With its economy and its political scene in a turmoil. And its racist bigots on a rampage. I'm sure many of its REMAIN supporters were glad to hear Nicola Sturgeon, the First Minister of Scotland, vow to try to block Britain from divorcing the European Union. 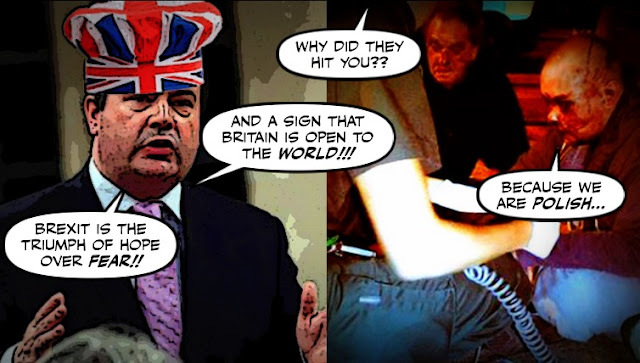 As you may remember the ghastly uber right-wing Con Jason Kenney couldn't wait to trumpet his joy at the Brexit result. Calling it a triumph of hope over fear, even though it was exactly the opposite. As well as a triumph of bigotry over decency. So now I'd like him to try to explain this monstrous horror show. 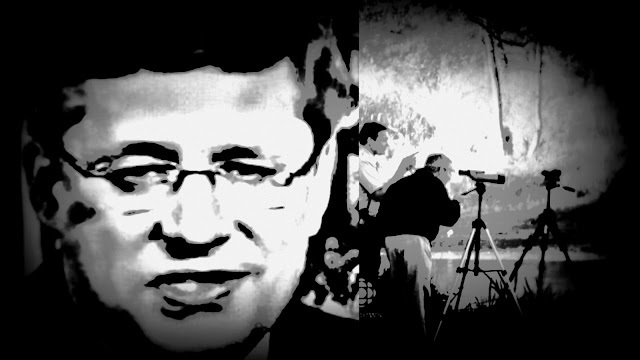 As we all know Stephen Harper used the Canada Revenue Agency for his own foul purposes. To try to intimidate his enemies, and harass environmentalists, and even humble birdwatchers. But although Harper has left the building, it seems the CRA is still haunted by his foul legacy. 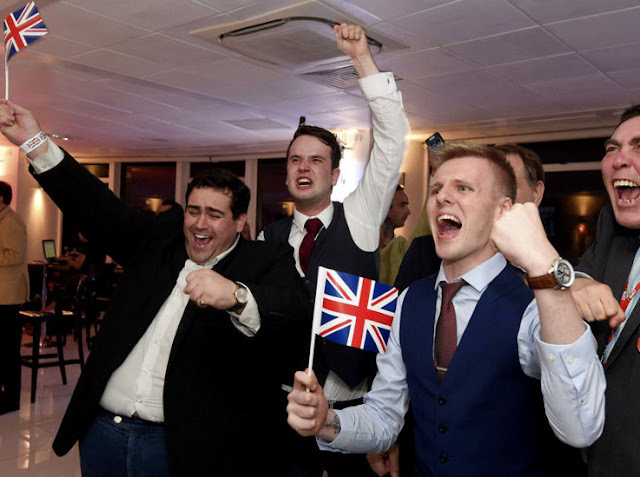 It's been barely two days since the Brexit referendum, and no doubt some LEAVE supporters are still celebrating their big victory. But not all of them. Some of them it seems are now having sober second thoughts. And what with the pound having fallen to a thirty-year low, the stock markets shuddering, and the country split down the middle, and in danger of falling apart. Now some of them are saying they're sorry. As you know I've been complaining about how Jason Kenney seems to be everywhere these days. The MSM just can't get enough of him. 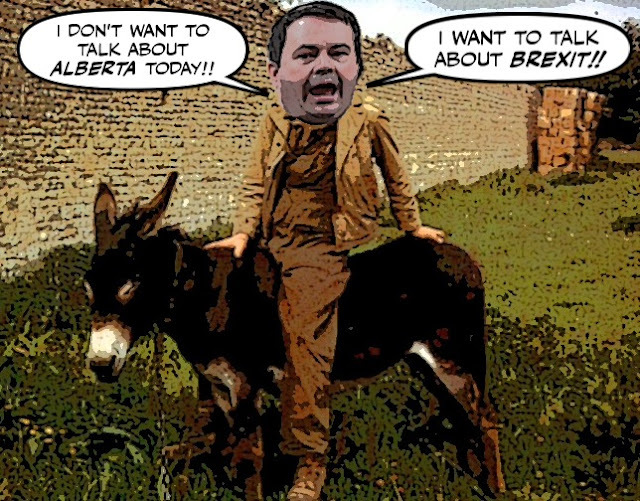 One moment he's on his burro preparing to head to Alberta to try to unite the right, and evict the NDP commies from power. The next moment he's causing some scandal on Twitter. As he was doing again yesterday. I knew the LEAVE side was going to win the Brexit referendum hours before the polls closed. When I heard that the poor who live in the Britain's rundown Council estates were turning out to vote in massive numbers. And the reason I did is because if you have ever taken the train from London to Edinburgh, as I sometimes like to do. Only about two hours after you leave the glittering prosperous capital, you enter a very different Britain. In one of my last posts I tried to explain why most Scots hate Donald Trump so much. And why so many are planning to protest his visit. And now that he has arrived in that country, there was more evidence that Trump just doesn't get it. And why he is unfit to be President of the United States. 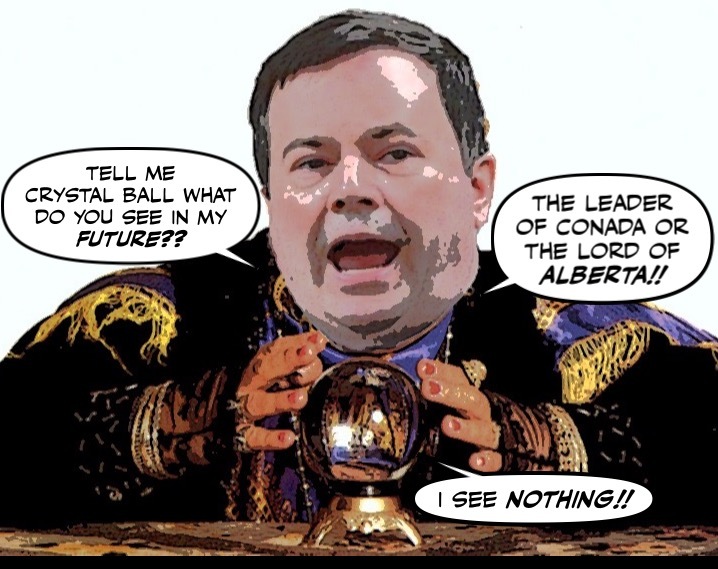 As you may remember, when I last dropped in on the ghastly Con Jason Kenney he was busy consulting his shiny crystal ball. And trying to decide whether to run for the leadership of the Harper Party, or leave Ottawa and try to unite the right in Alberta. Well, it turns out the ball was wrong. 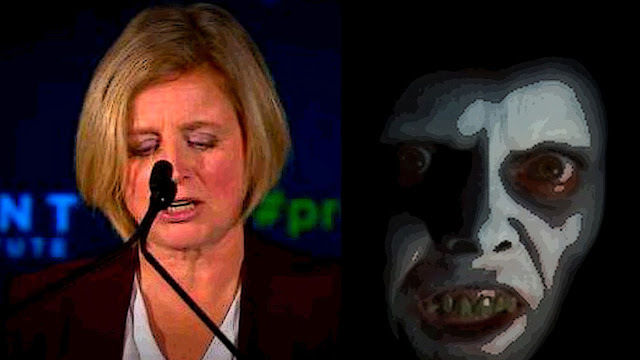 Labels: Con clowns, Con Leadership Race, Con media, Jason Kenney, The Death of Con Canada. It's hard for me to imagine a more disturbing image. This file picture of Donald Trump screaming like a maniac at one of his two Scottish gold courses. 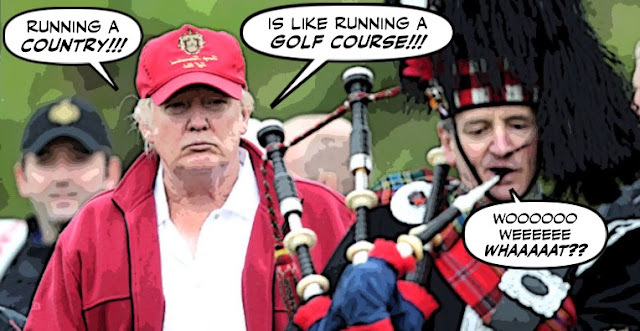 With a piper beaming behind him. And in the background the grass covered dunes, that line the shore of the North Sea, that I used to play on when I was a boy. It feels like a desecration. It's just too horrible. 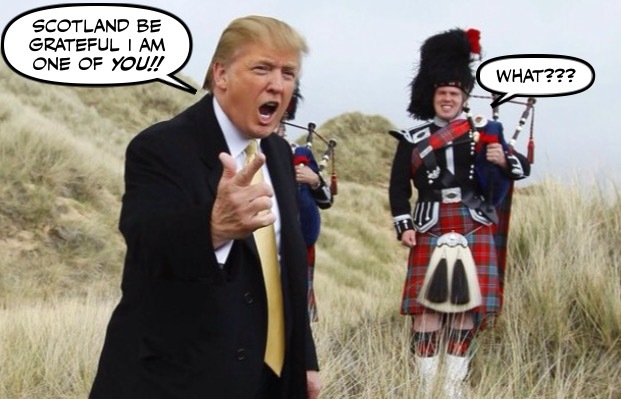 But the good news is that Trump is heading back to Scotland tomorrow, and he's going to get a very different kind of reception. 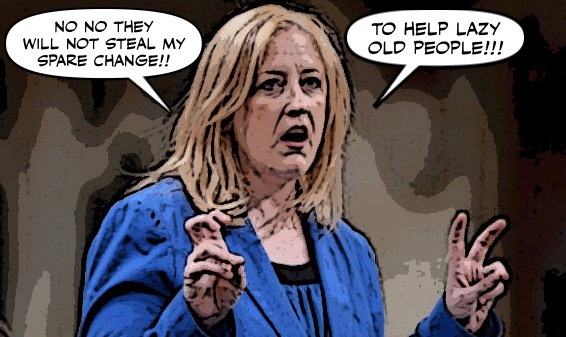 You might think Lisa Raitt and her Cons might stop attacking the agreement to enhance the Canada Pension Plan now that a deal has been reached. Now suggesting it's the work of Big Brother. While Big Business is calling it the road to economic ruin. 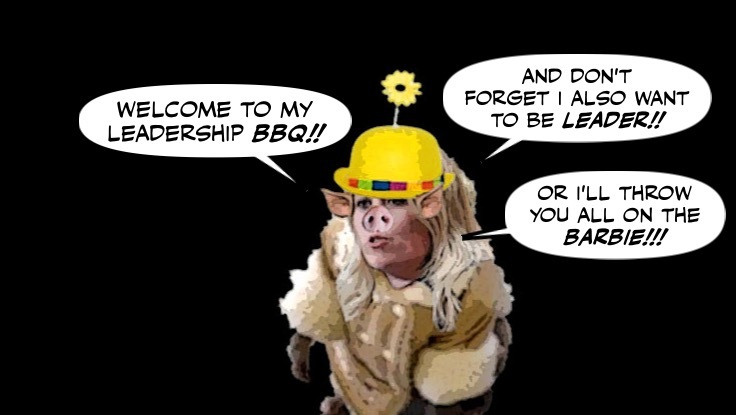 When I heard that Michelle Rempel had hosted a BBQ for declared and potential Con leadership candidates, I knew it would be a ghastly story. I knew it couldn't have been a pig roast, for obvious reasons. But who knew it was such a cannibal affair? It's the ultimate irony. 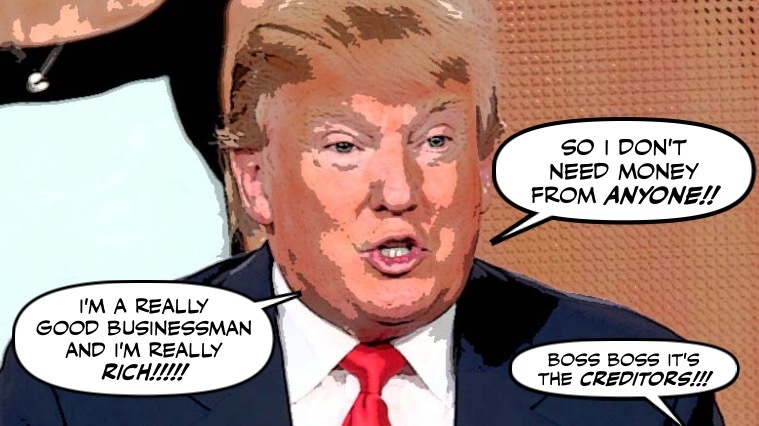 Donald Trump the billionaire, who is always boasting about how much money he has. The man who claimed he could self finance his own campaign. Now finds himself in a really embarrassing position. Up to his big mouth in a money pit of his own making. 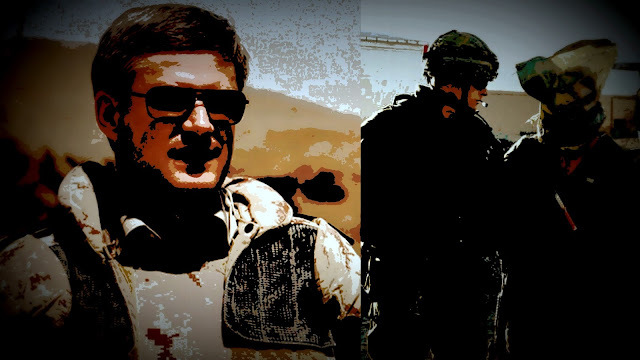 For years there have been rumours that Stephen Harper knew that some of our soldiers in Afghanistan were torturing the prisoners they captured. Or did nothing to stop others torturing them. But didn't do anything about it, because he just didn't care, and always enjoyed the pain of others. And the truth about what happened was covered up, or lost in the fog of war. But now at last that scandal may be coming back to haunt him. 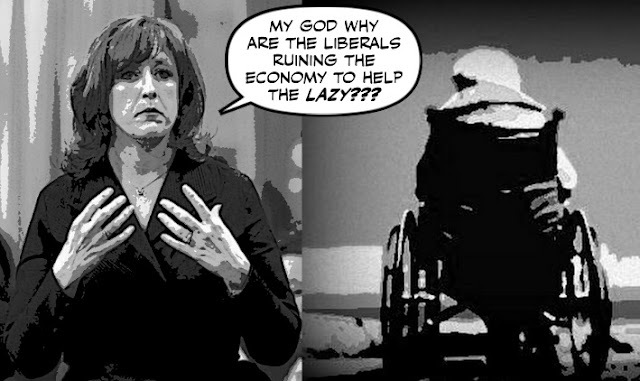 I can only imagine the frenzied state the scary Con Lisa Raitt must be in right now. But you can be sure it isn't pretty. And she is no doubt still howling at the moon, like her miserable leader Rona Ambrose. 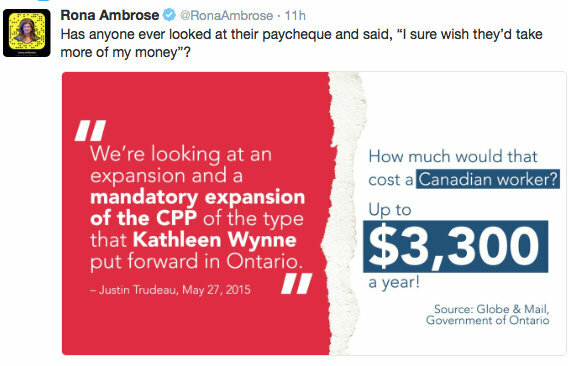 But it won't do those ghastly Cons any good, because their desperate attempts to sabotage plans to enhance the CPP have gone down in flames. Is Donald Trump's Campaign Going Down in Flames? For a long time it seemed that nothing Donald Trump said or did could hurt him, or put a dent in his polls. But now that seems to be changing. Because after a very bad month, his campaign is now starting to look like a slow motion train wreck. As long as Stephen Harper was in power there was never any hope of enhancing the Canada Pension Plan. Because he always claimed the economy was too fragile to afford it, he didn't like the idea of pensions, and believed that Canadians should save for their own retirement. 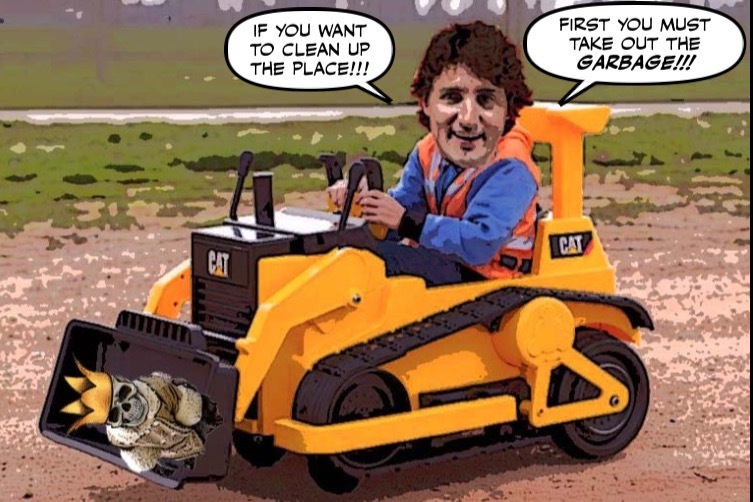 So I'm glad that now that he is gone, the federal government and the provinces will be meeting in Vancouver today to see what can be done to enhance the CPP. But I'm not surprised that the Harper Party hasn't changed its position. 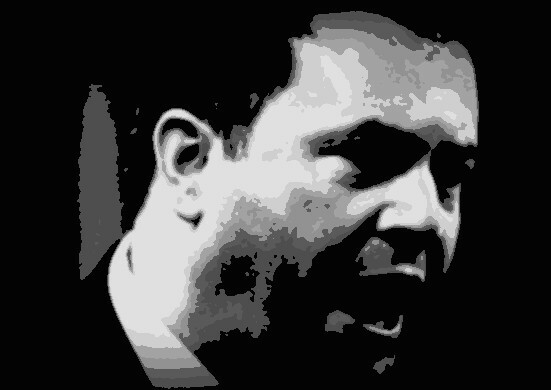 For a long time after his Cons were crushed and humiliated, the foul Harper stooge Jason Kenney kept a very low profile. So low in fact that some of his closest accomplices feared he had lost his mind at the thought of losing so much power. His burning ambition has inflated him like some ghastly blimp. For years I have been warning that hatred kills. Like it did in Orlando last Sunday. Or like it did in Britain last Thursday. 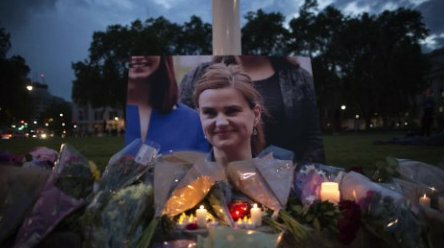 When the gentle, decent Labour MP Jo Cox was shot and stabbed to death by a another cowardly bigot. And I've also warned that the same poison was spreading in Canada. Where progressive leaders like Justin Trudeau and Rachel Notley have been attacked by packs of rabid haters, and bombarded with death threats. But it seems some people never learn. It's going to be a really hot weekend in the place where I live, so I'm hoping to spend as much time as possible at the beach. But I wonder how much longer I'll be able to do that, as the world just keeps getting hotter and hotter. In one of my last posts I told you how shocked most LGBT Americans were to hear themselves described as Donald Trump's newest supporters. 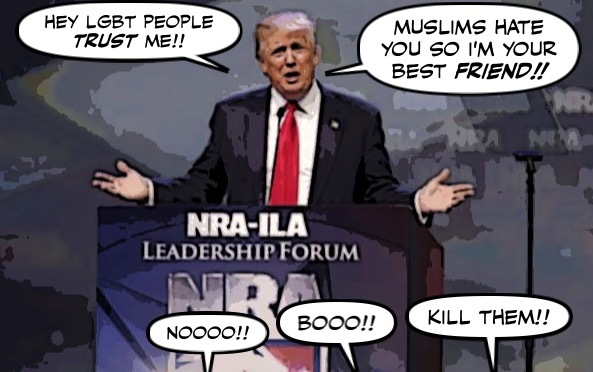 With that ghastly bigot now claiming that after the Orlando massacre, gay people hate Muslims as much as he does. So I'm glad to see that Hillary Clinton is trying to correct the record. These ORNGE air ambulances are a familiar sight in my neighbourhood, taking off or coming into land at the Toronto Island Airport. And I like having them around, because my heroes are those who risk their lives to try to save the lives of others. But three years ago one of them crashed in northern Ontario. And it couldn't be a more tragic or more Canadian story. Labels: Canadian heroes, ORNGE. 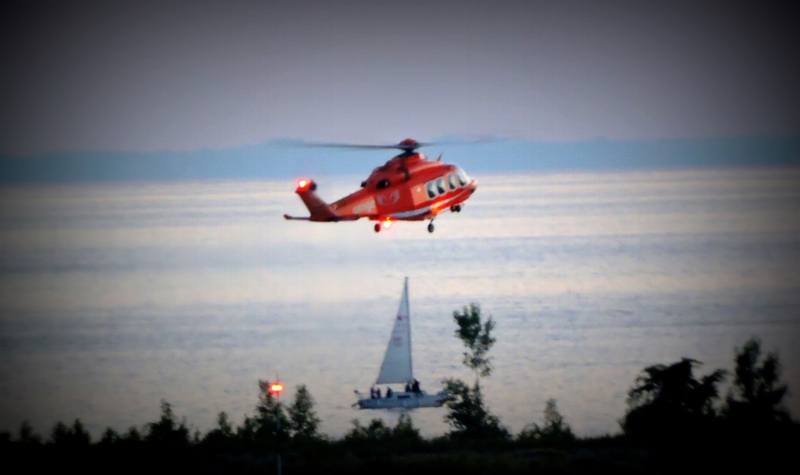 air ambulances, The Great White North. 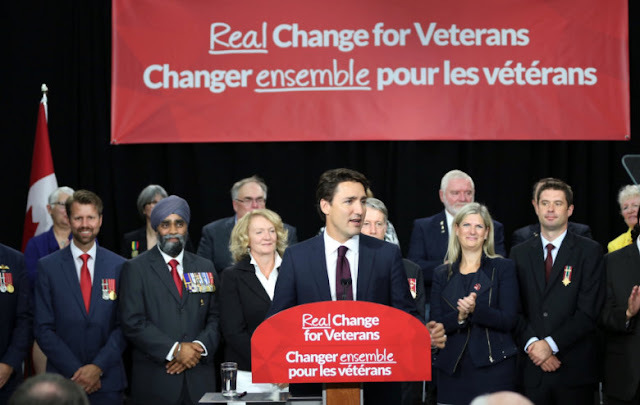 As you probably know I have been extremely pleased by the systematic way Justin Trudeau and his Liberals have been demolishing Stephen Harper's foul legacy. Scrapping his monuments, deep sixing his fascist crime bills, taking out the garbage, and improving our image in the eyes of the world. And in that regard this is another excellent move. As if it hasn't been a brutal enough week for the LBGT community. So many deaths, so much grief. And so much anger over the way people like Donald Trump are using their tragedy and their pain to try to hurt others. 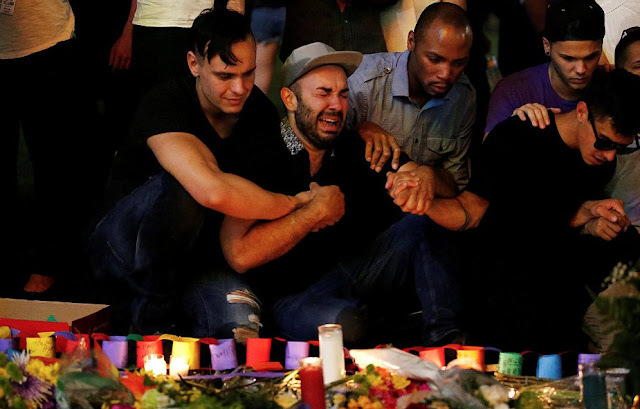 By whipping up hatred against Muslims, Mexican-Americans, refugees and others, while ignoring the hatred that killed their brothers and sisters. Homophobia, the beast that lives in so many. So as you can imagine, this was like adding insult to injury. About a year before the last election I decided the most useful thing I could do was to try to get as many young Canadians to vote as I could. 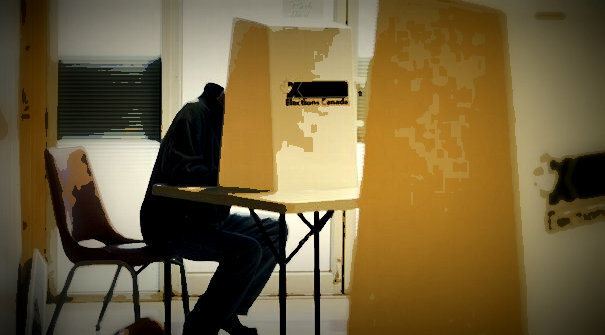 So together with many other people and organizations all over the country, I set out to convince them that if they didn't vote our country might die. And their future could die with it. And although I knew from the election results that it did work, now it's official. It's been almost six years, but I'll never forget that weekend. 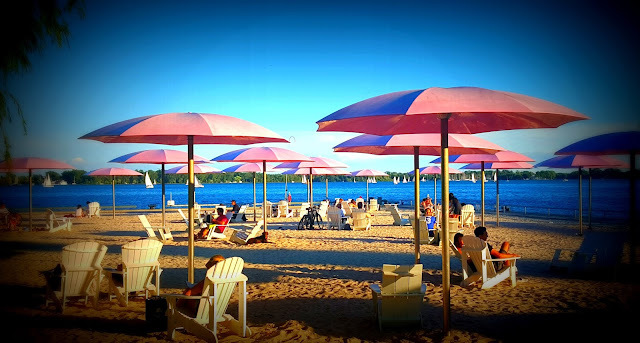 The weekend of the G20 Summit in Toronto. 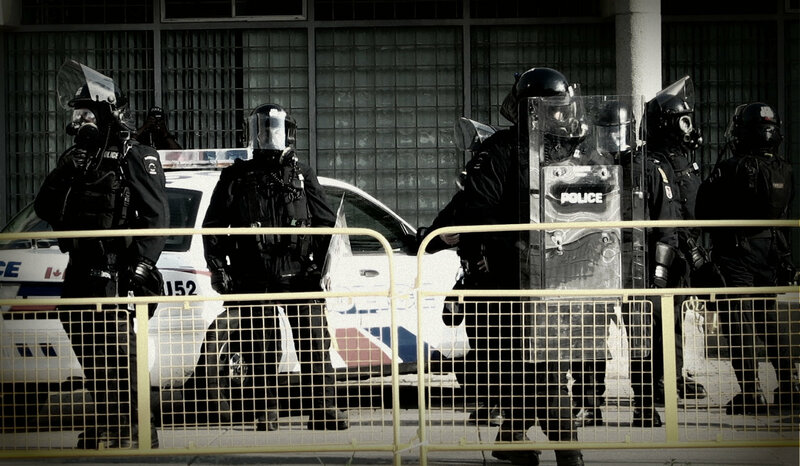 When they turned my neighbourhood into an armed camp, more than 1,000 people were arrested. And I felt like I was living in a police state. As you know I think Justin Trudeau and his government are doing an amazing job of destroying Stephen Harper's foul legacy. And have made this country a better place to live in, as well as restored our image abroad. But that doesn't mean that I agree with everything they are doing. And I definitely don't agree with this decision. As you all know the ghastly Con Michelle Rempel aka Rempelstiltskin, has recently been out of control in the House of Commons. First she accused the opposition and the Speaker of laughing at her. Which caused them to laugh even louder. And then she started flogging some hollow motion on genocide. And when that was defeated. Prime Minister Justin Trudeau and the majority of Liberal MPs have voted against a Conservative motion declaring that the violence perpetrated by the Islamic State of Iraq and the Levant constitutes genocide. The other day I told you that I'm planning to attend Toronto's Gay Pride parade, even though I'm recovering from knee surgery. Because I want to honour the victims of the Orlando massacre, and show the hate mongers of this world that we are not afraid. Even if I have to hobble through that crowd on crutches, or ride majestically through it on the shoulders of my companion. Well now I'm even more determined to go, because it seems some ISIS crazies are threatening to ruin the party. 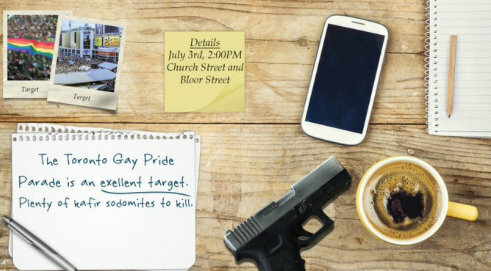 Toronto police say they are aware of a possible threat from a German pro-ISIS group that identifies the Toronto Pride Parade as an “excellent target” for an attack. 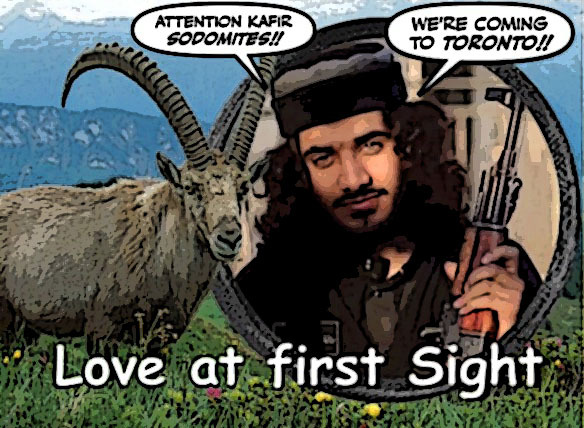 And although I'm not sure whether they will be bringing their favourite goats, and although I know that Justin Trudeau will be marching in the parade, so I'm sure the police will take the necessary precautions. I mean they're always talking about fighting ISIS, so this is their chance. But seriously, what everybody needs to know is that the ISIS crazies are about as Muslim as those porkers. 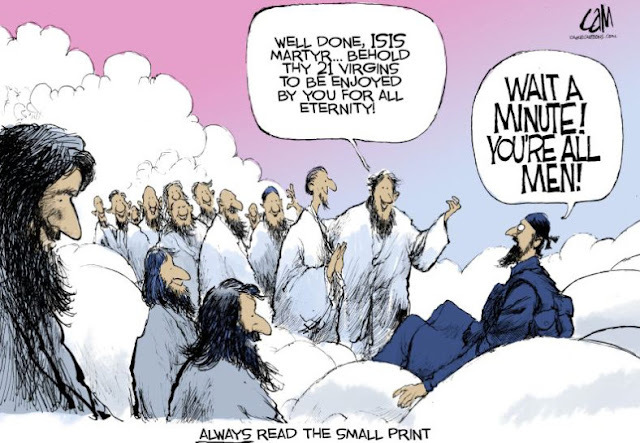 They are the Kafirs or unbelievers. They're murderous war criminals, drug addicts, rapists, gay killers, thieves, and cowards. And judging from the murderous activities of their latest self declared recruit, they may even be sodomites. And what those losers, or that loser, needs to know, is that the LGBT community is a fighting community. 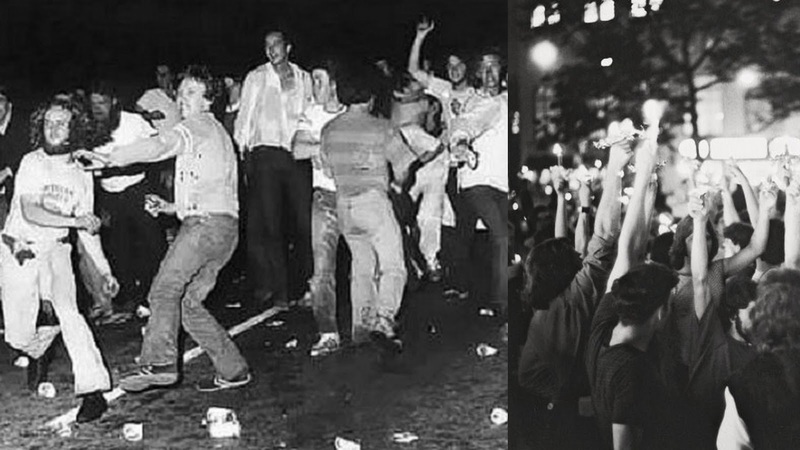 We hate cowardly religious bigots with every bone in our bodies, and have been fighting them for over forty years. And what they also need to know is that we are joined every year by tens of thousands of straight people, of all ages, and ethnicities. Who bring themselves and in many cases their children, to join in the fun and celebrate diversity, and tolerance. Before I lose my temper and confiscate that deadly cellphone, and that toy gun. And ask the authorities to administer a random drug test. But if they do insist on coming, I do hope they introduce themselves to me and my buddy Sébastien. Because with more than twenty years of martial arts training between us, we'd LOVE to have a chance to welcome them to Canada. For one thing is for sure eh? 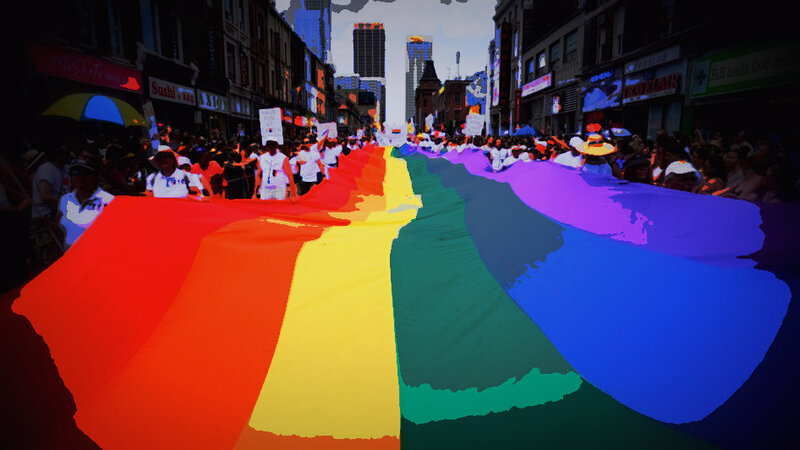 The LGBT community will honour its dead. 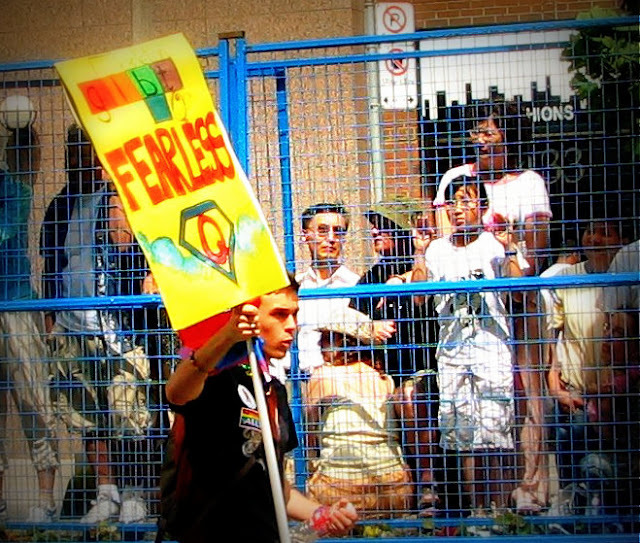 Canada Day and the Gay Pride parade share the same weekend. 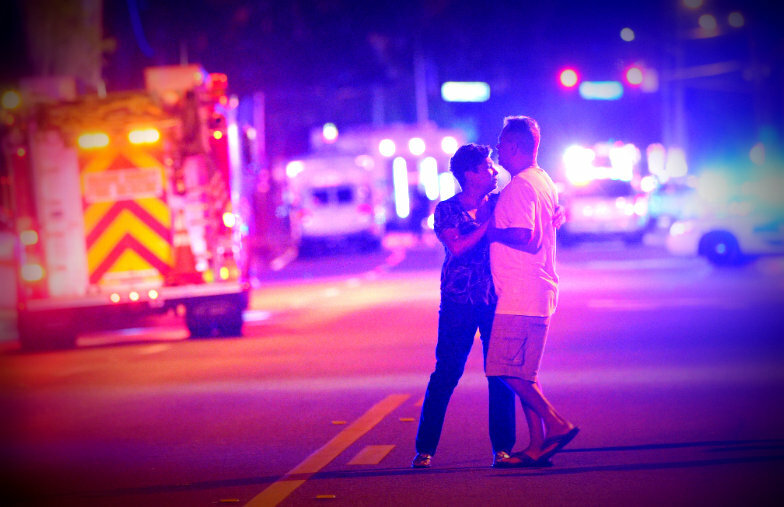 When I saw the first pictures of the Pulse nightclub shooting, and I saw the ambulances converging on the scene. And then because there weren't enough of them, I saw the wounded being loaded onto the back of pick up trucks. Two thoughts went through my mind. What bloodthirsty maniac did this? And how are the hospitals going to handle the load? As you know, Rona Ambrose is finally trying to put some distance between herself and Stephen Harper. Desperately trying to dispel the notion that she's no longer his faithful puppet, as she was for so many years. And if you remember, at the recent Press Gallery dinner, she even went so far as to declare that "the bad man's gone." 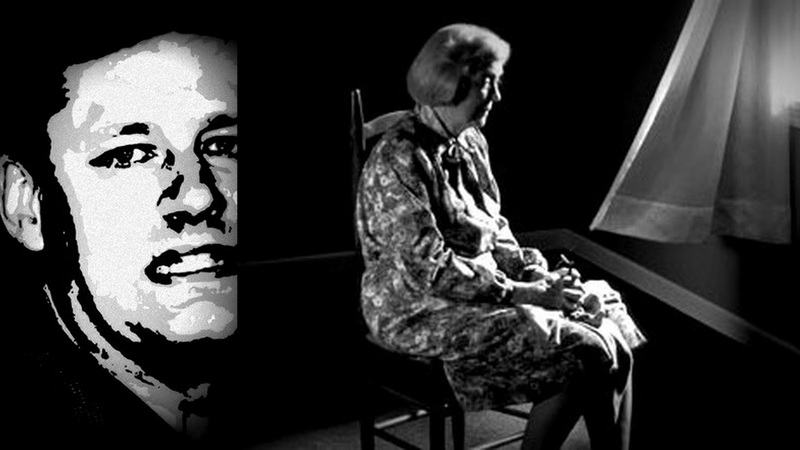 But sadly for her and her Cons, the monster may have left the building, but his legacy lives on. 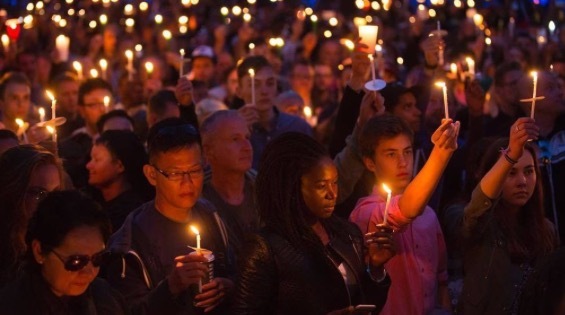 I attended this memorial in Toronto last night to remember the victims of the Orlando massacre. And although it was a beautiful peaceful event, afterwards I couldn't help but notice the anger of some of the LGBT people who attended. Anger over the fact that some in the media are trying to downplay the homophobic nature of the attack. And trying to make it sound it was just an ISIS inspired attack on Western values. What Does Lockheed-Martin Not Understand? I must admit that Steve Over, Lockheed-Martin's chief flying vacuum cleaner salesman for the F-35 jet, is really starting to annoy me. 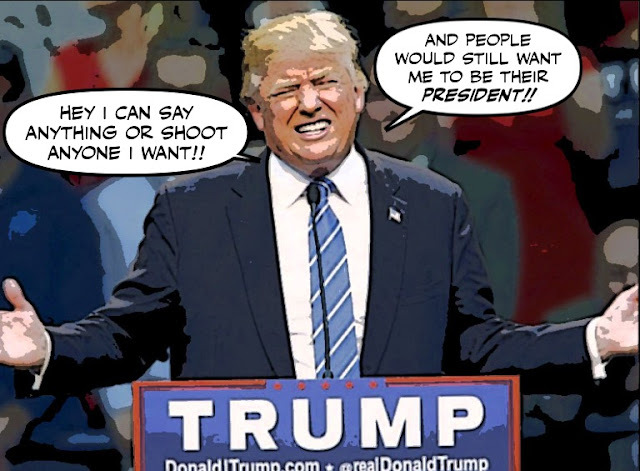 First he threatens to blackmail us if we don't buy his overpriced overhyped clunker or junker. Then he lied, and said he wasn't threatening us. And now he has the nerve to lecture our Canadian government. 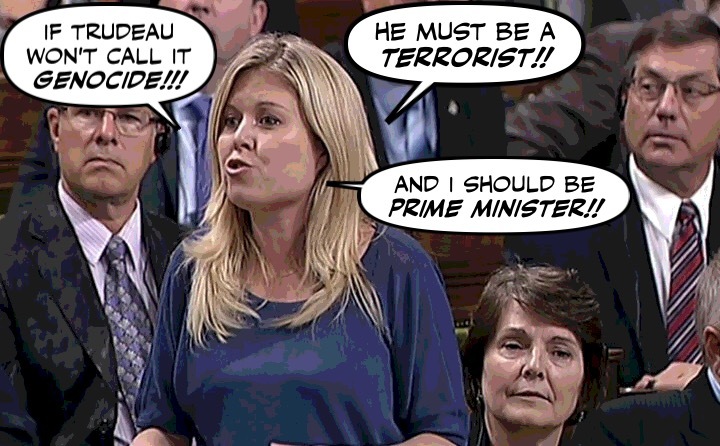 Is Michelle Rempel Slowly Losing Her Marbles? Why Are the Cons Demanding an Illegal Referendum? Why is the MSM Trying to Bury Electoral Reform?